Alas, it seems that the Colorado Avalanche simply cannot have nice things. 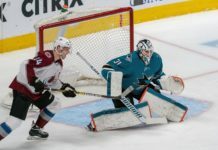 On the heels of his best performance of the season (a 51-save effort against the Toronto Maple Leafs on Sunday), Avalanche goaltender Semyon Varlamov will now be forced from the net, as he is day-to-day with a groin injury. 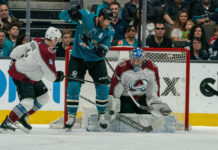 This will mark the second time thus far this season that Varlamov will miss time with an injury, putting the load on Calvin Pickard, at least for the immediate future. Riddle me this though: Is that really such a bad thing? 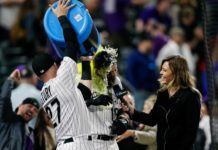 It is mid-December and the Avalanche are currently out of the playoff picture, though not yet far enough to consider packing it in and shifting their focus completely to the future. Nevertheless, it seems to be a pretty decent time to evaluate the team, especially considering what that future may bring. Regardless if they ever receive their trademark or not, the Vegas Golden Knights are coming; and with them, comes the expansion draft. The NHL is all about parity. As such, the rules that have been set for said draft are pretty generous for the incoming team, and could be pretty costly for the other 30. This is especially true in net, where teams can only protect one goaltender. 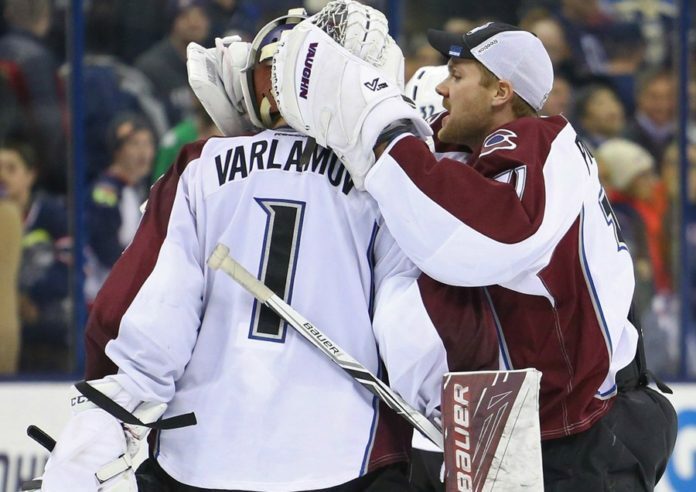 For the Avalanche, now is the time to evaluate who that goaltender should be. If exposed, either could be enticing to Vegas general manager George McPhee. On one hand, Pickard is young, cheap and has often played quite well when given a chance (he has a .924 save percentage in 46 NHL games). On the other, he knows Varlamov quite well, as it was he who selected him 23rd overall in the 2006 NHL Entry Draft (it’s worth noting that he is also the man responsible for trading him to the Avalanche). Whomever the team decides to expose, they will be in legitimate danger of losing a goaltender. Whether it is for a game or a month, now marks the perfect time for Pickard to prove that he can be a legitimate No. 1 in the NHL.